Kim Jong-un claims to have succeeded where the greatest minds in science have failed… by producing a single drug which can prevent and cure Aids, Ebola, Sars and Mers. North Korea is currently suffering from one of the worst droughts in its history while still pursuing a nuclear programme. 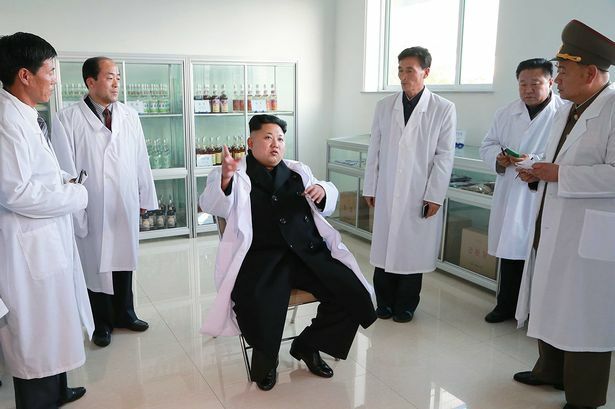 The official Korean Central News Agency said the portly despot’s scientists developed miracle drug Kumdang-2 from ginseng and other ingredients – without saying which. North Korea claimed the same drug cured deadly bird flu outbreaks in 2006 and 2013. BBC – Our pets: the key to the obesity crisis?